This week, we’re thrilled to present part two from contributor Pamela Mordecai. She's reading from her tremendous debut novel Red Jacket, which was short-listed for the Rogers Writers' Trust Fiction Prize (2015). 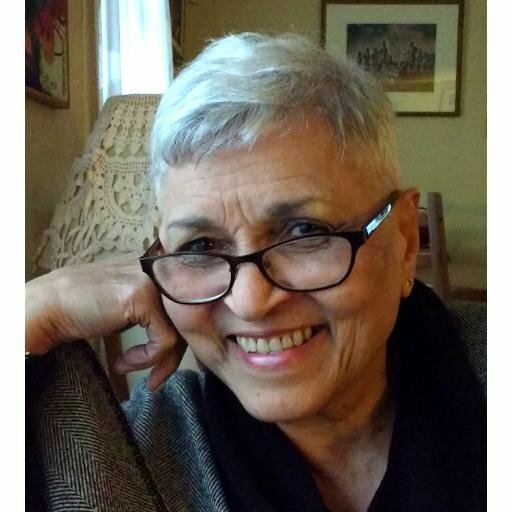 A prolific author, Pamela has published five collections of poetry, an anthology of short fiction and is well-known for her poetry and stories for children. She's a recipient of the Institute of Jamaica’s Centenary and Bronze Musgrave Medals. She tweets at @Refracting. Please check out her earlier episode here and pick up one of her books from your local independent bookstore. So Maisie folds Gracie in her arms like a baby and takes her down the road to Beloved. When she reaches the storefront church, she reverses into the heavy wooden doors, forcing them open with her broad backside, and the two of them go through to see Reverend Douglas, who is waiting. Several ladies make up the congregation and there is even a small choir, a bright blaze of birds the colour of parrots and macaws. Reverend Douglas walks up to receive Maisie and her whimpering charge, arms wide open, big as a baobab tree, and she folds the sobbing Gracie into the great tent of her white robes and takes her up to the altar where Jeremiah is waiting, dressed in red and white, the youngest of seven altar boys who swing gold censers as they wait for Jimmy to begin saying Mass. And there at the altar is Gramps, straight and strong, instructing Jeremiah on how to tend the forest of medicine plants that he has set out in rows and rows of pots at the back of the barracks hut in Wentley. “Tell her, Gramps,” Ma says, fresh as morning drizzle. Ma walks over quickly, for though she is stout, she moves light as wisps of silk cotton seed. She leans down to give Gracie a hand, but Gracie can’t move, sake of pain. Her entire lower arm is blown up, a fat reddish balloon. The pain inside is hot like boiling water. If anybody offered to cut her arm off, she would let the knife do its terrible work without a moment’s thought. She understands. It is Carnival, and the inflated arm is part of her costume, and they are all dressed-up to play mas, a whole band of players in green and white. They wear masks, and their heads are covered with cps like the old-fashioned bathing caps that grandmothers wear at the beach. The party room is tiled green like the birthing room in Geneva where Jeremiah was born. She hates green. She hates this room with green tiles for walls. There is one very black face that she recognizes, even though he has on a mask. The half moons of his tribal markings won’t let him hide. It is Jimmy, and she can see that he is smiling because his eyes are sideways slits. How she loves his long curling eyelashes! How his touch floods her body with light and movement!